Being Irish and pale of skin I always wear fake tan. There isn’t a tan in the land that I haven’t tried and to be honest many of them just are not suitable for my drier skin. I suffer with Psoriasis a beautiful skin condition that flakes and reacts to a lot of tans. I can of course avoid the inflamed areas and usually I do, but because it’s not just concentrated to one area that can be difficult. Roll up the Tan, and their super hydrating liquid gel. Developed in 2015 this brand new product applies like a dream and fades of really well. My biggest bugbear with tans is the fade off which can sometimes make you look dirty and patchy so road testing this one was a dream. You have two options with it depending on the desired colour. Apply and shower it off after 2-3 hours for a natural glow, leave on overnight for a deeper tan. I do find that for a wedding or a weekend away I like having two coats of this so will usually apply one on Wednesday and one on Thursday and then just moisturise my skin as normal on the Friday. Keep hydrated always, if your tan applies patchy your skin may be dehydrated. It’s always really vital to keep your skin exfoliated in the days before tanning, don’t exfoliate the day of and avoid using any products with oils beforehand. Use a glove or mitt to apply and start with a small amount using fluid and circular motions. I usually start with my legs and work upwards. Make sure your ankles, knees and elbows as well as your knuckles have some light moisturiser on them as tan can gather in these areas leaving them darker. The Tan is available in a spray tan version also from salons and is developed by two beauty therapists based in Dublin. The two Jenns do over 500 spray tans a year so they really do know their stuff. Mary-Jane O'Regan is a freelance Makeup Artist covering primarily Munster. She is trained in all aspects of skincare as well as make up & has worked behind the scenes on Fashion Shoots & Shows as well as being featured in both national and local editorials. 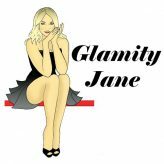 Her Glambox is a unique concept, she will travel to weddings & events to do makeovers. She works with many high profile brands & writes a weekly column on make up & beauty. She offers make up lessons & is an educator at Foxy Training.